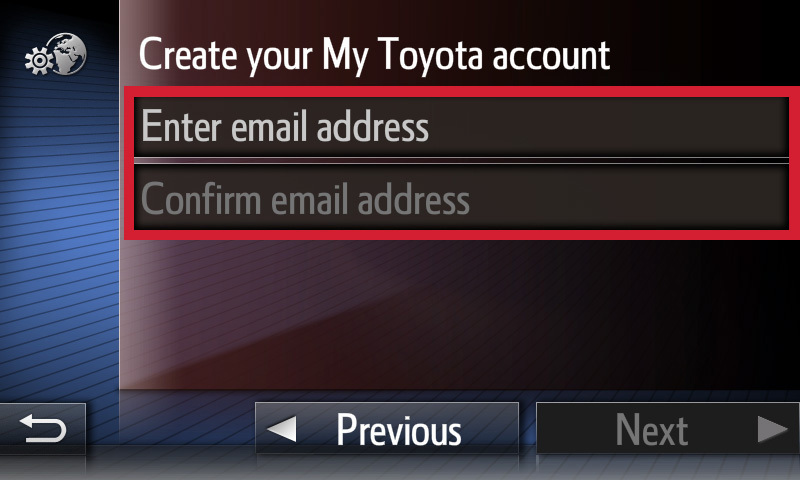 To create a new account at the My Toyota customer portal, first make sure your phone is paired and connected for data (see topic 1). 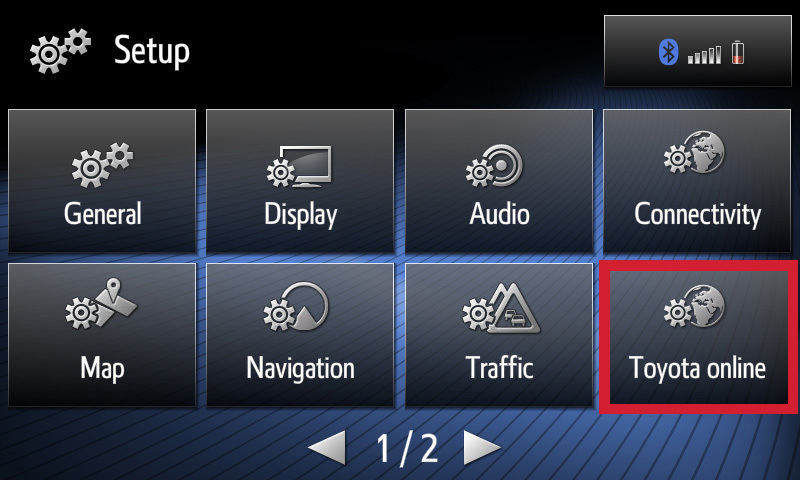 Then press the [SETUP] button of the device to go to the setup menu. 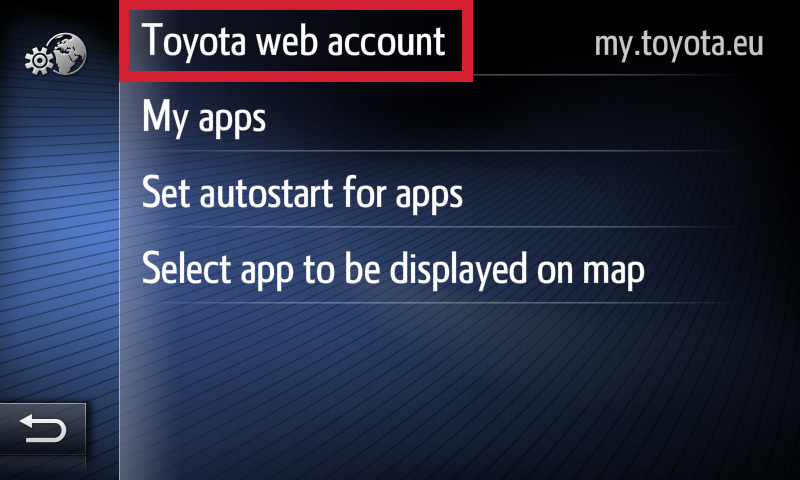 Touch [Toyota online] to get to the online menu. 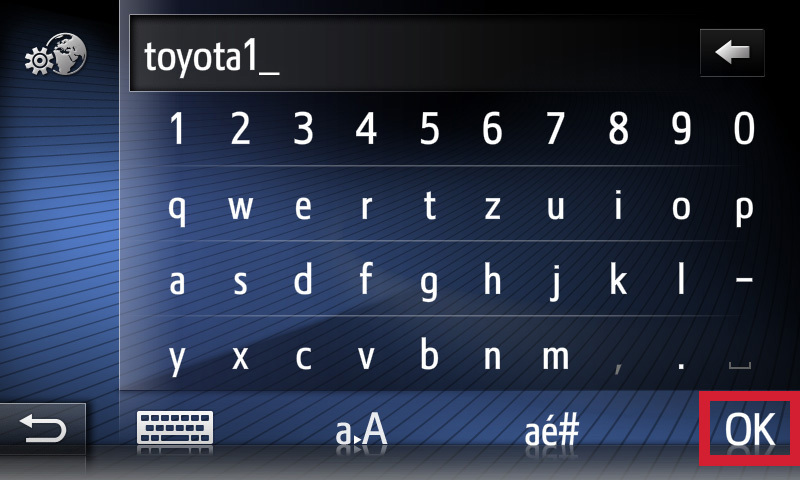 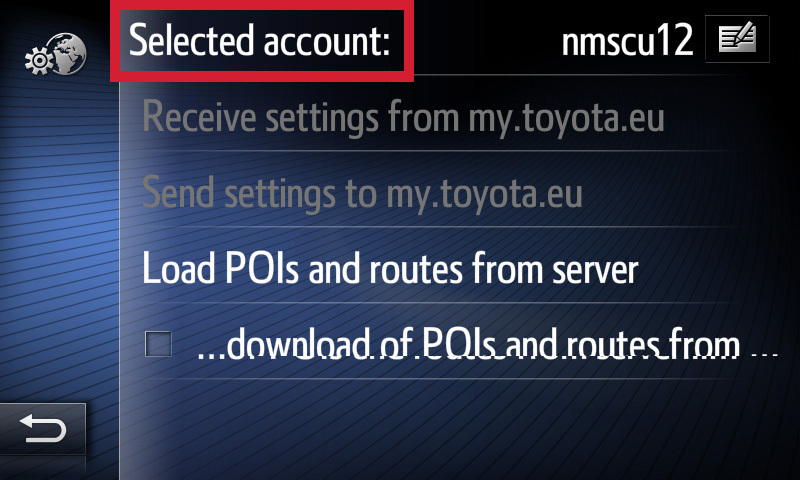 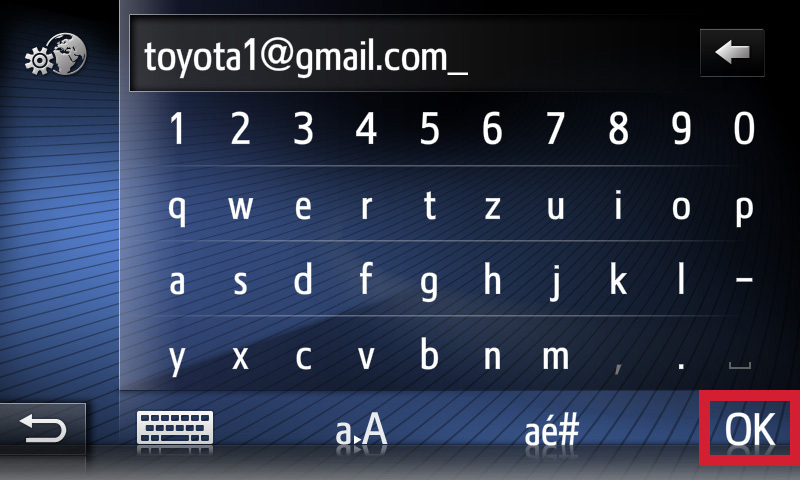 Select [Toyota web account] to get to the online menu. 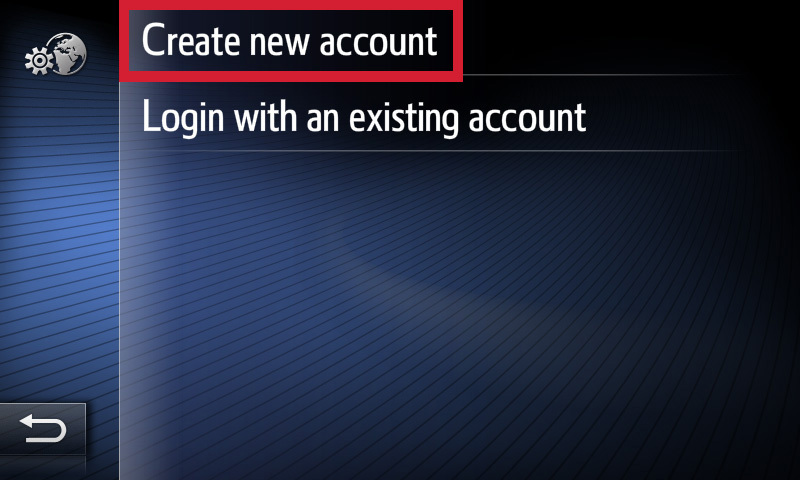 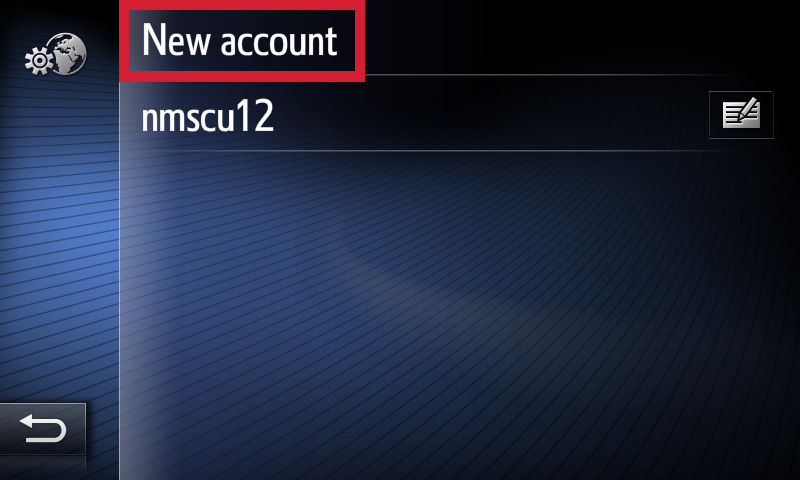 Go to [Selected account] and see an overview of existing accounts. 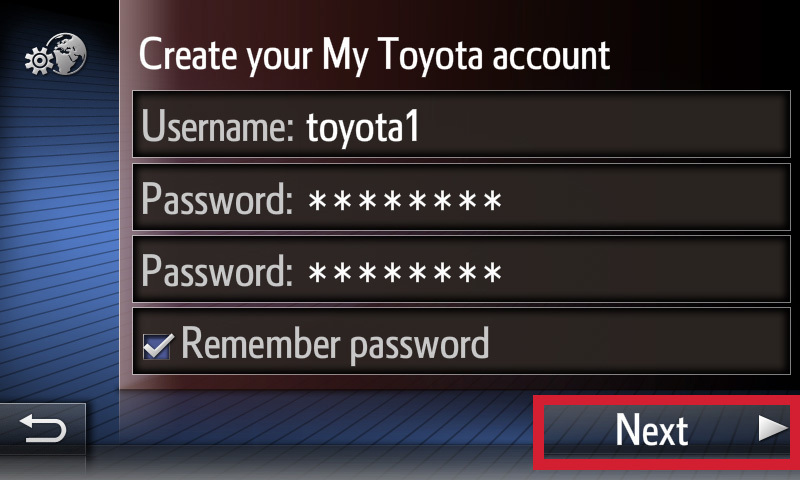 Start creating your new My Toyota account and enter your desired username and password (please repeat your password as a precaution). 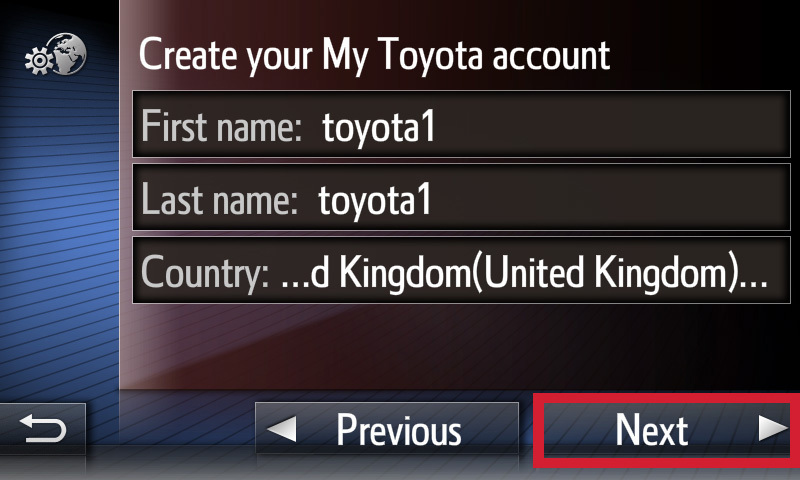 Confirm your entries by touching the [Next] button. 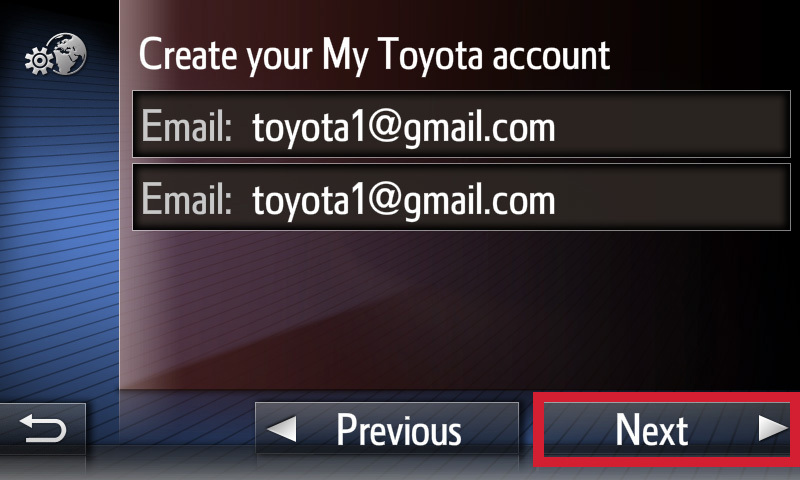 Enter your email address (please repeat as a precaution). 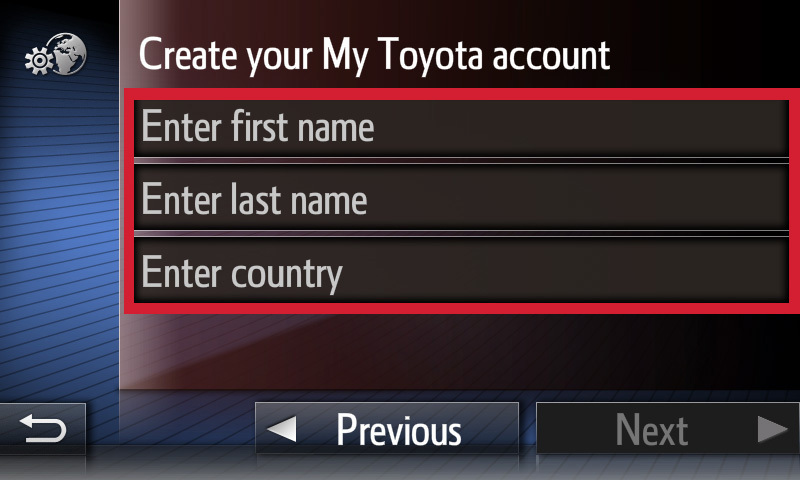 Enter your first name, last name and choose your country of residence. 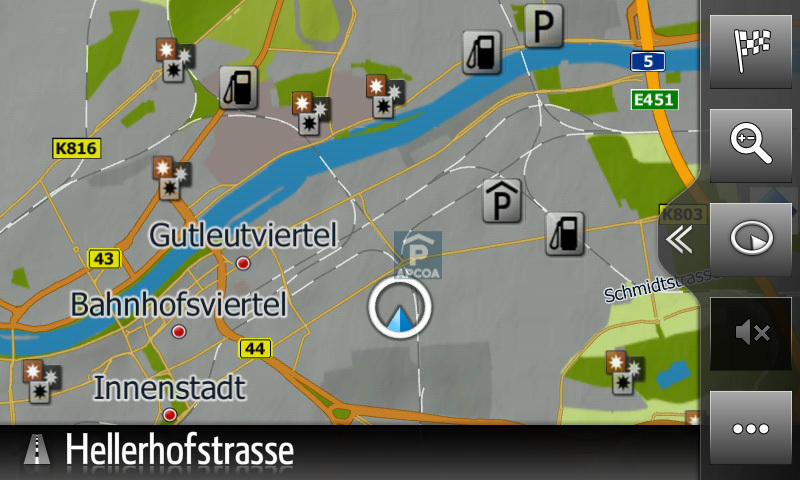 Please read the information about geolocation sharing. 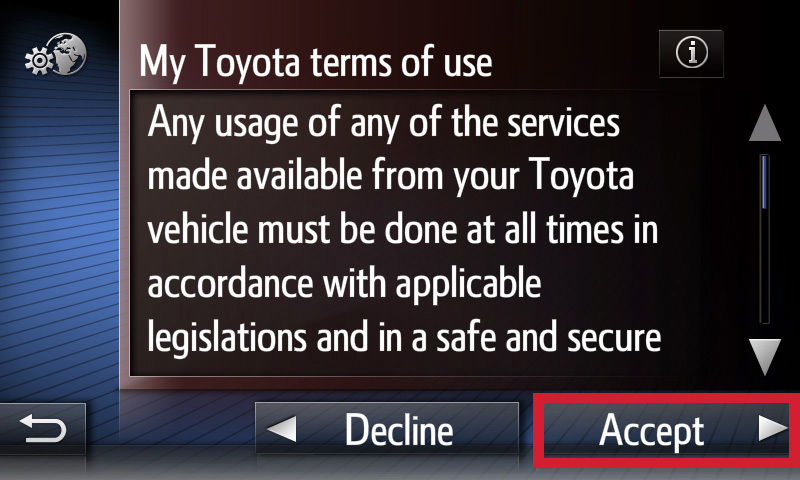 To agree please confirm by touching the [Accept] button. 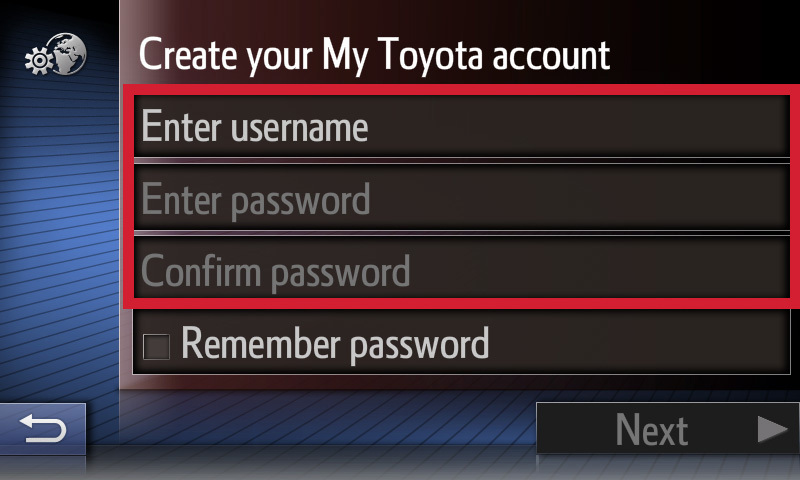 After this screen changes, your My Toyota customer portal account registration is completed and activated. 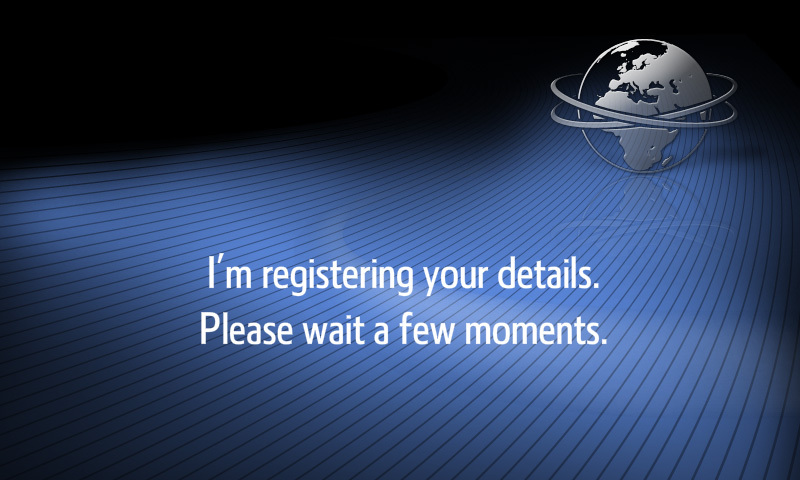 You will receive an e-mail confirmation, make sure tofollow it's instructions.